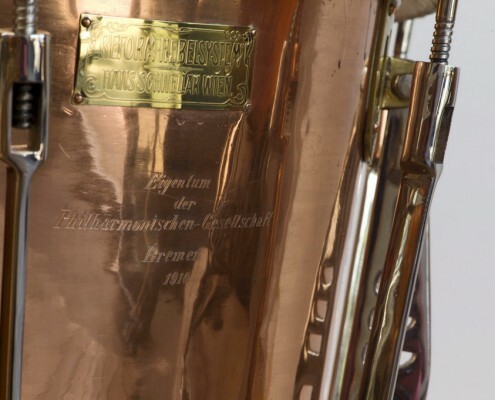 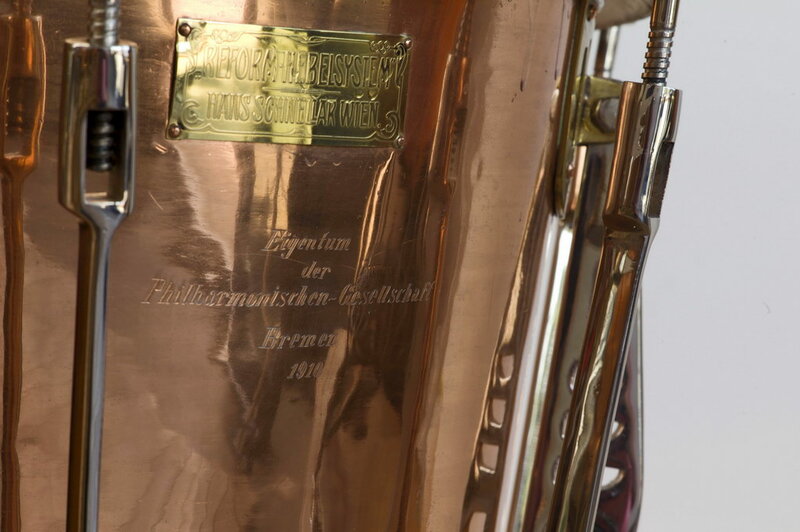 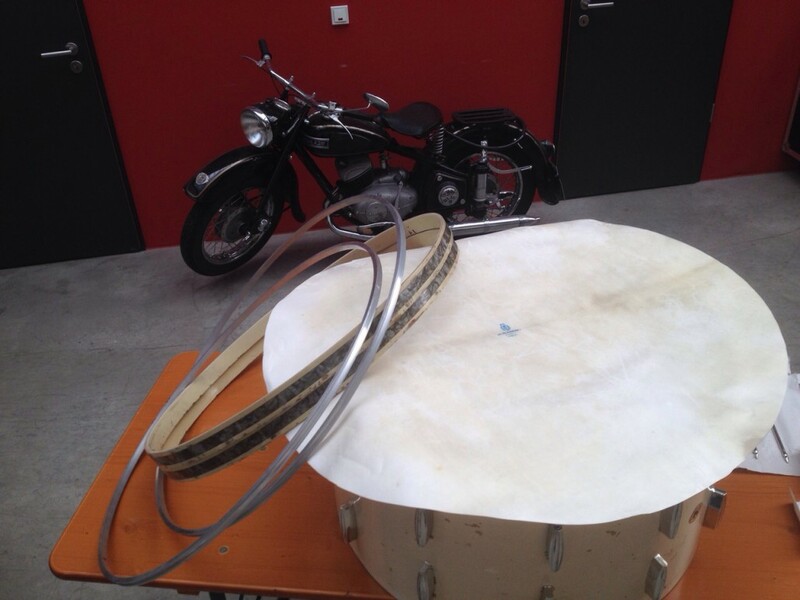 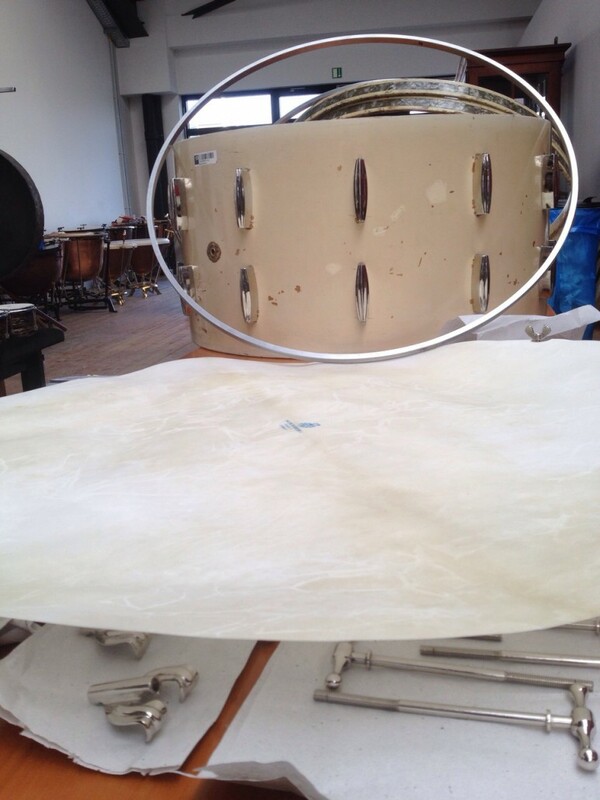 In our Bremen workshop we repair and restore percussion instruments from all manufacturers and types and from various eras. 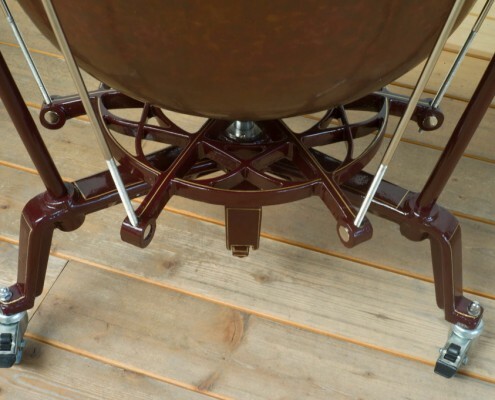 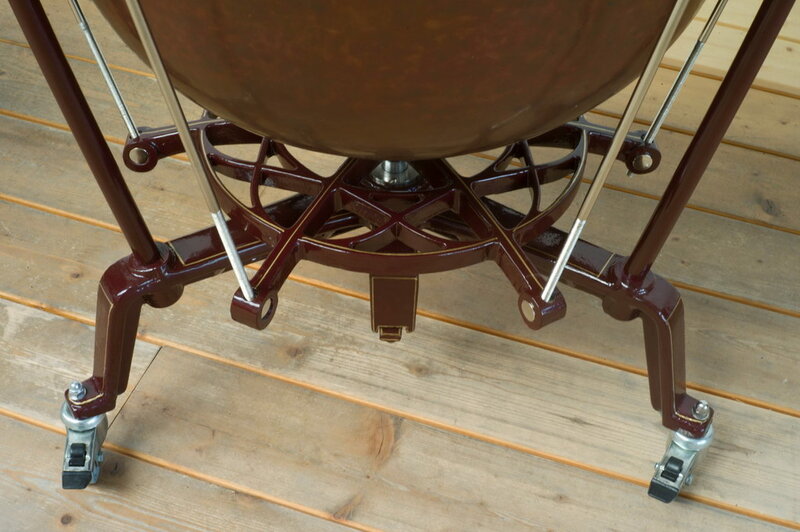 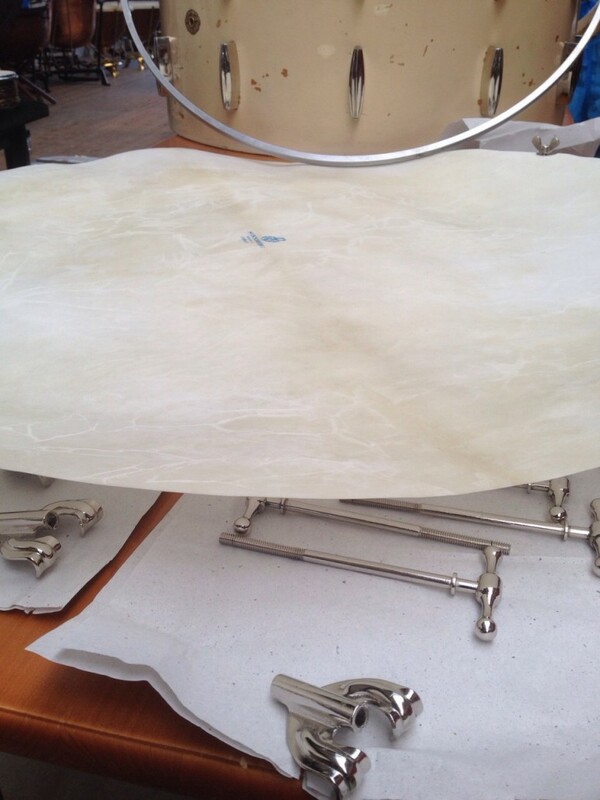 We fashion spare parts and equipment for timpani, drums and pitched percussion instruments in cooperation with select craftsmen. 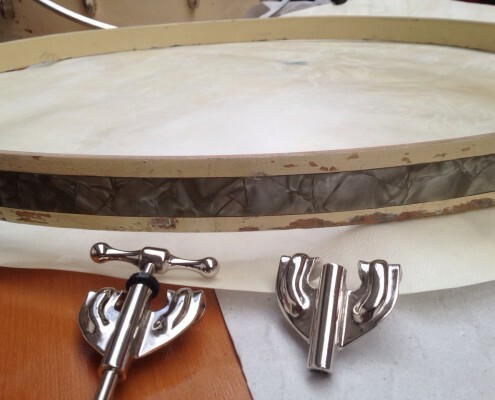 We also carry out overhauls during orchestra breaks, replacement of virtually all kinds of drumheads and specialist repairs on instruments belonging to renowned orchestras and ensembles, as well as for music colleges, schools and groups. 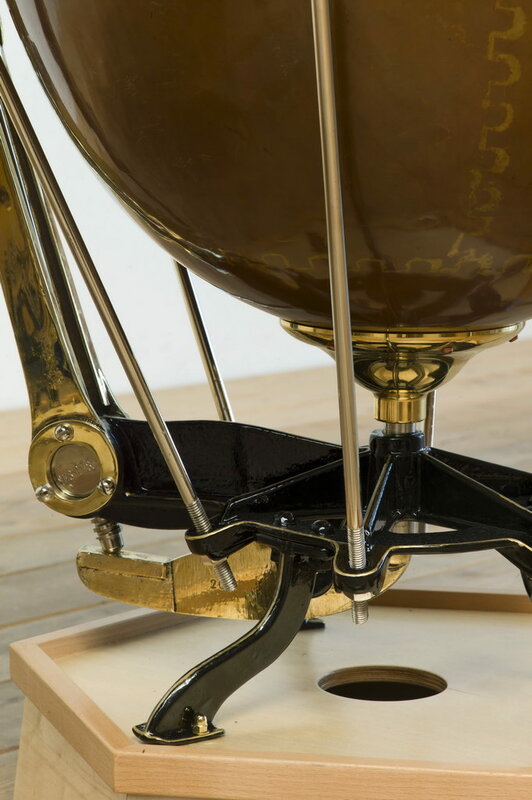 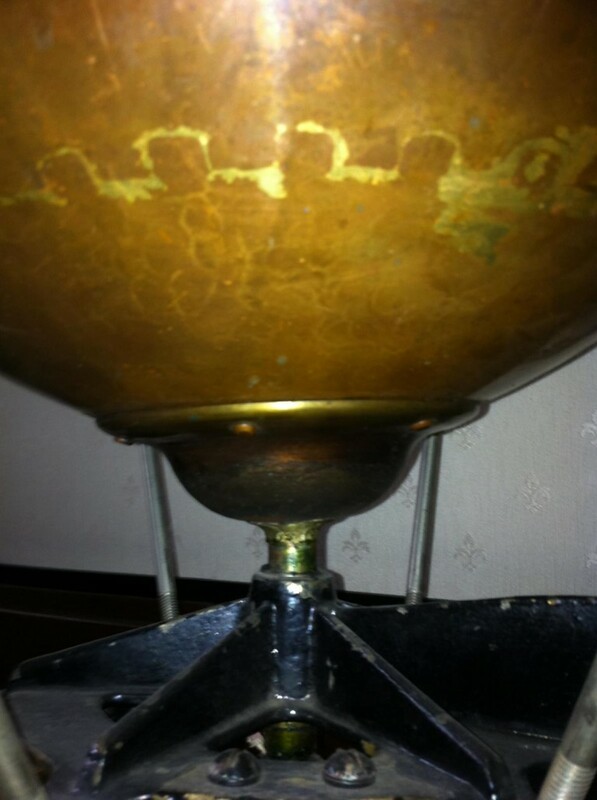 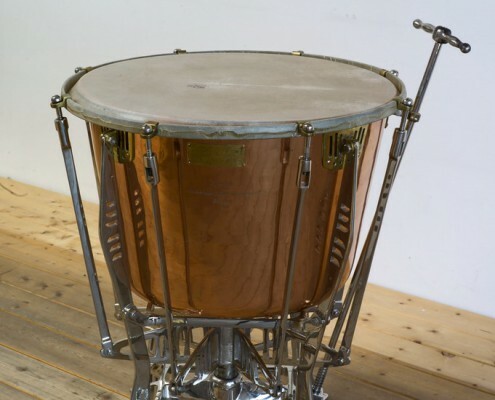 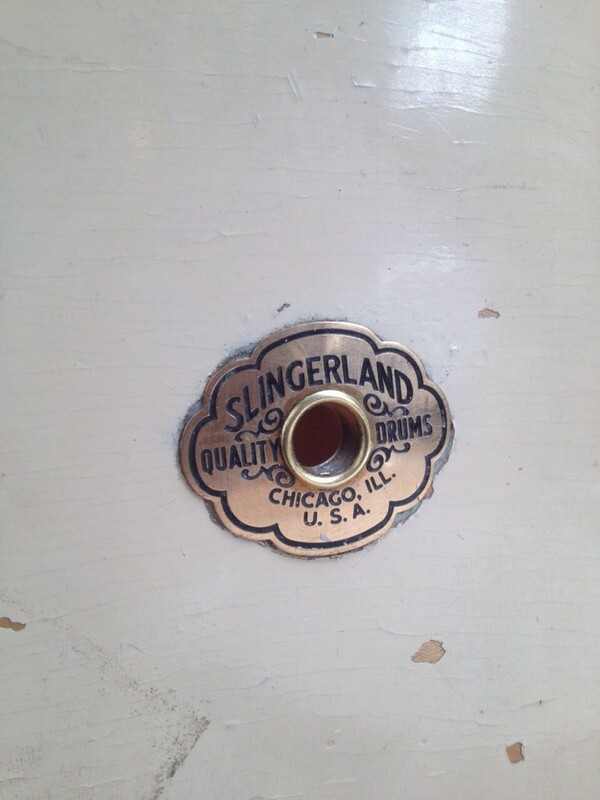 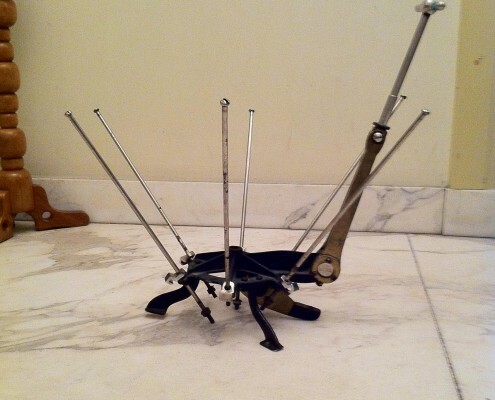 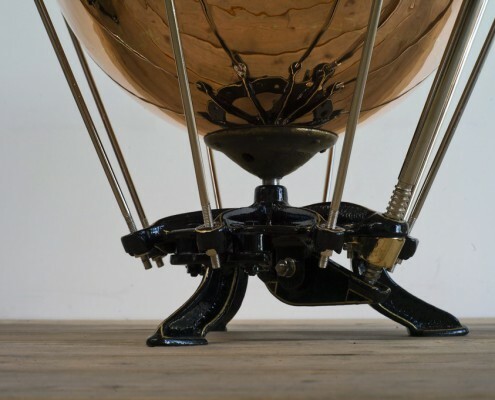 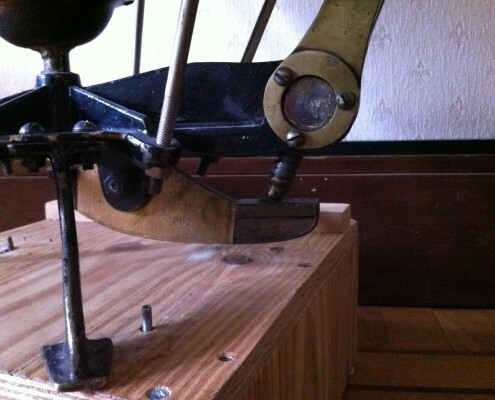 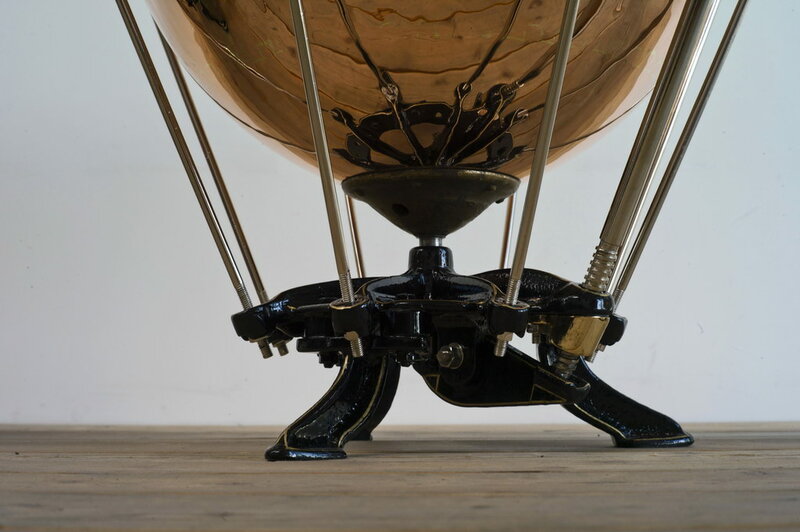 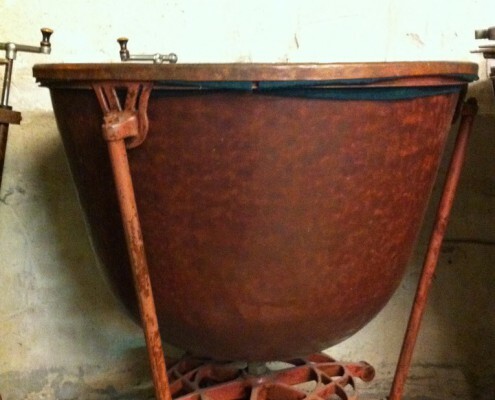 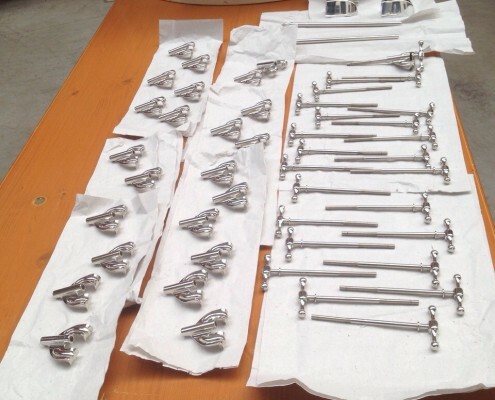 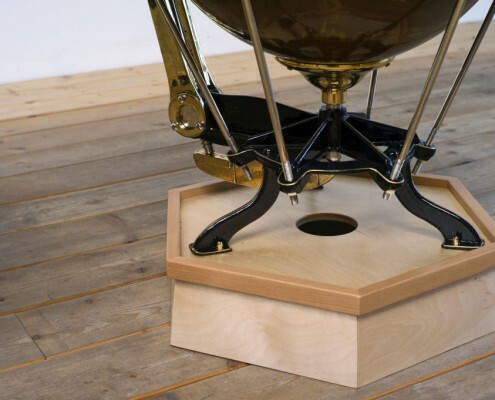 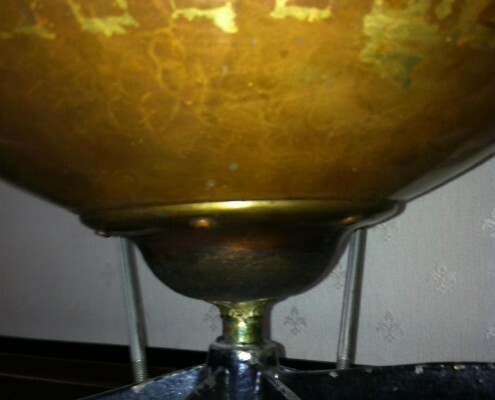 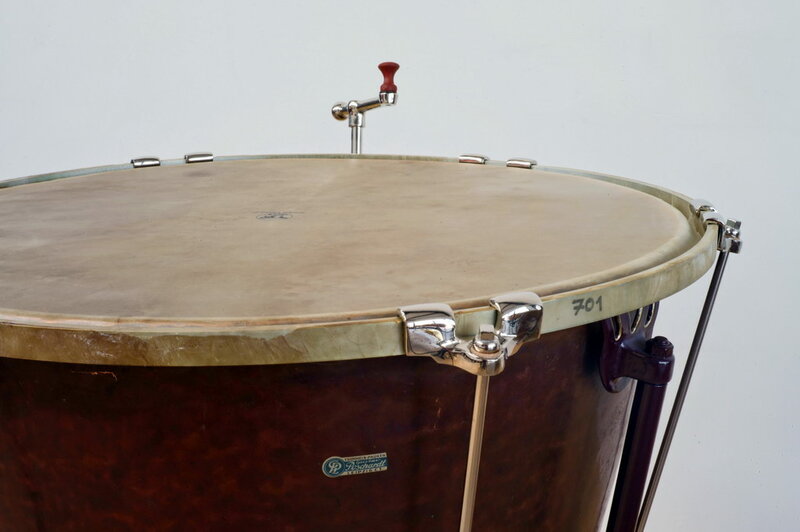 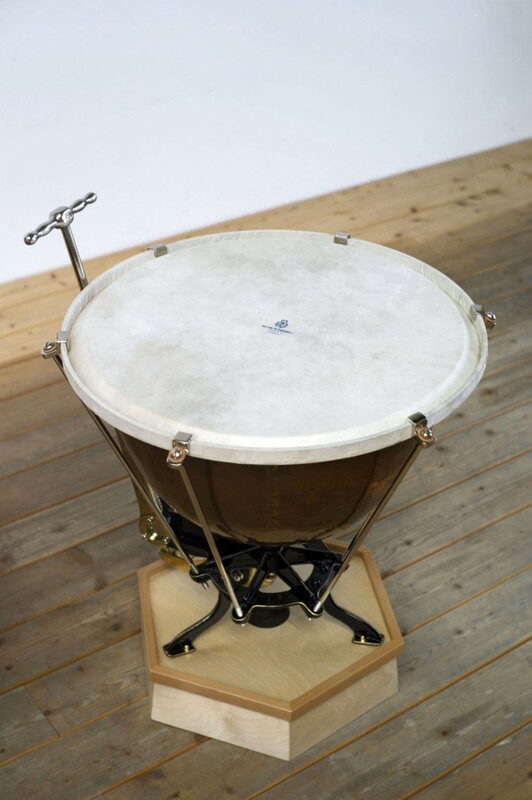 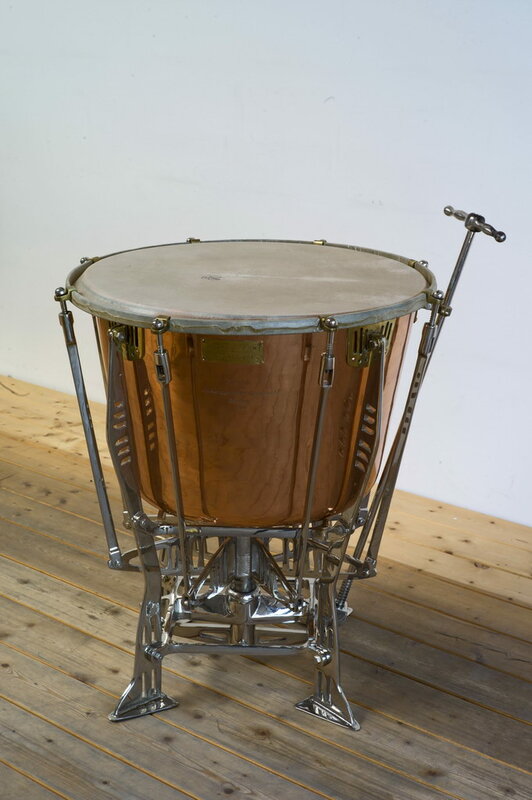 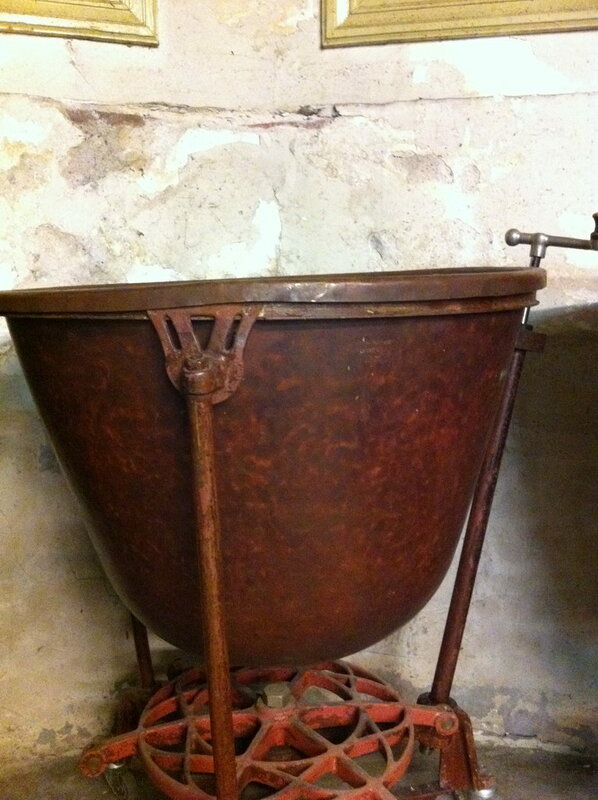 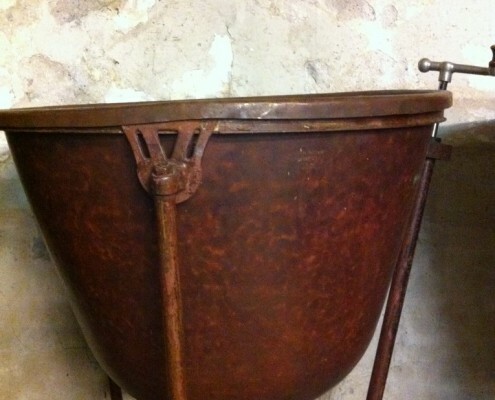 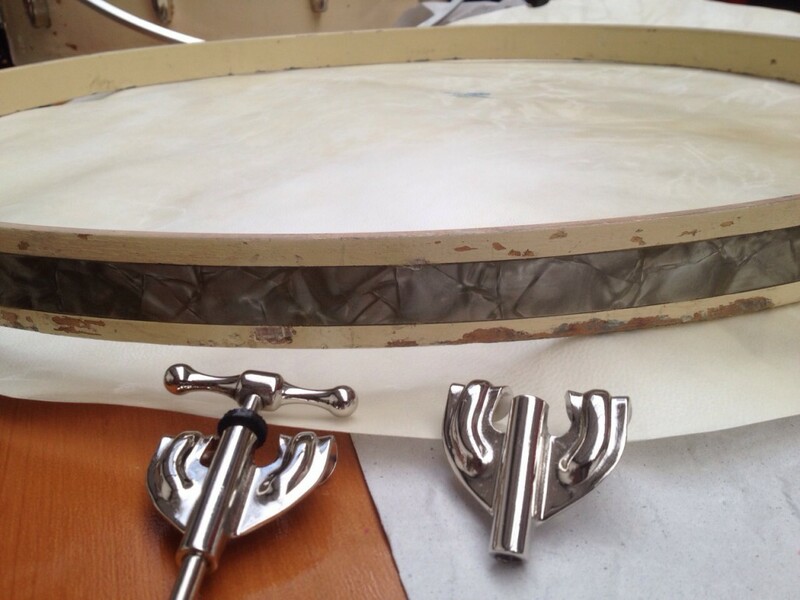 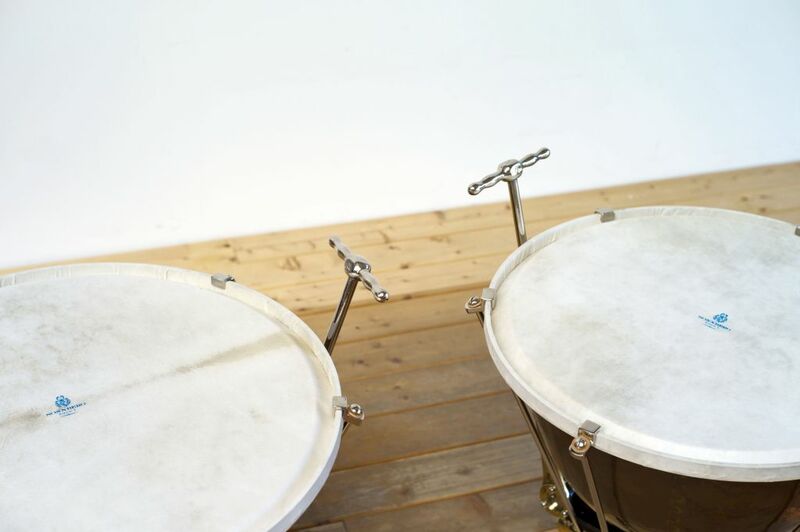 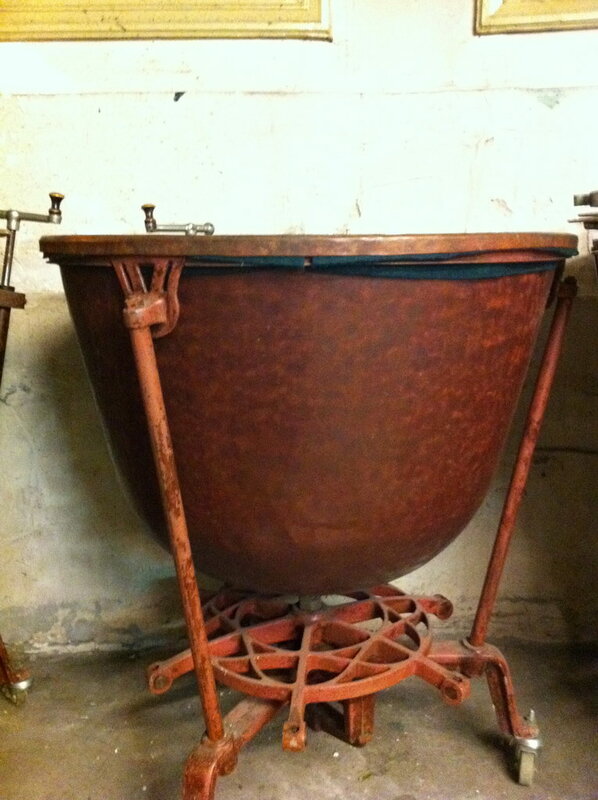 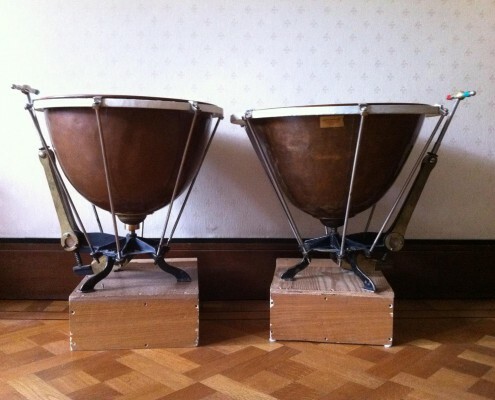 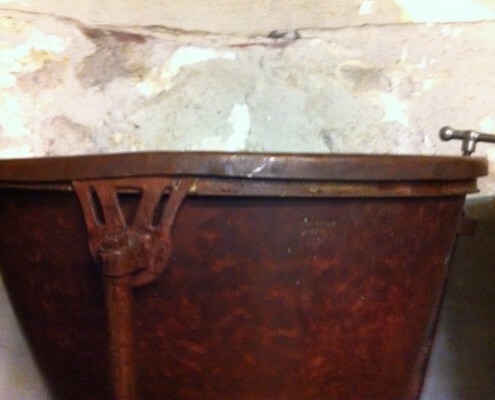 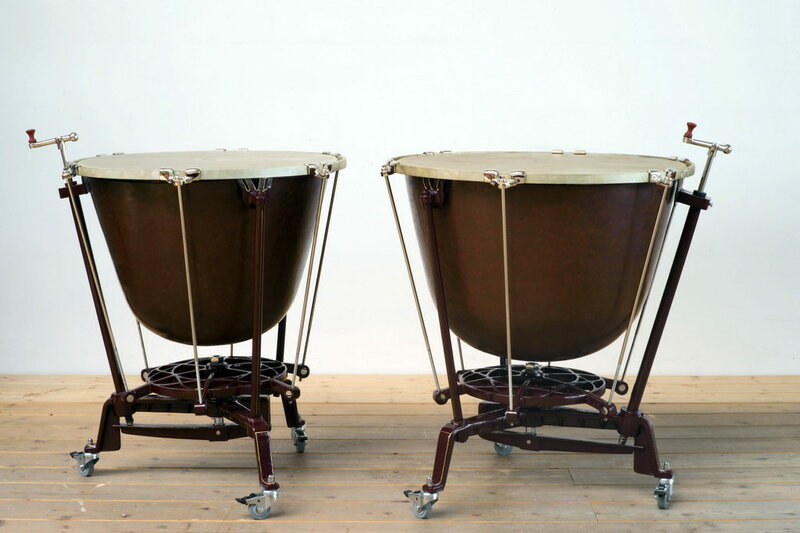 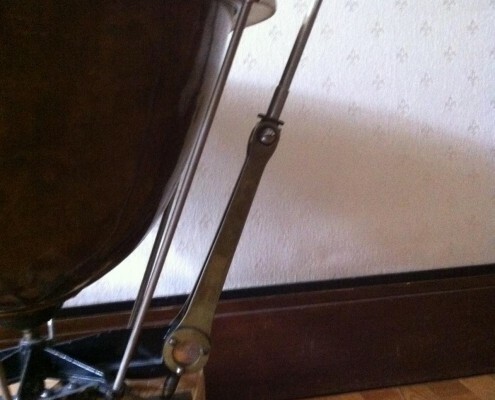 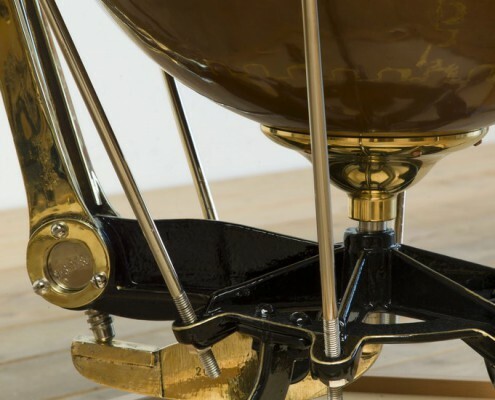 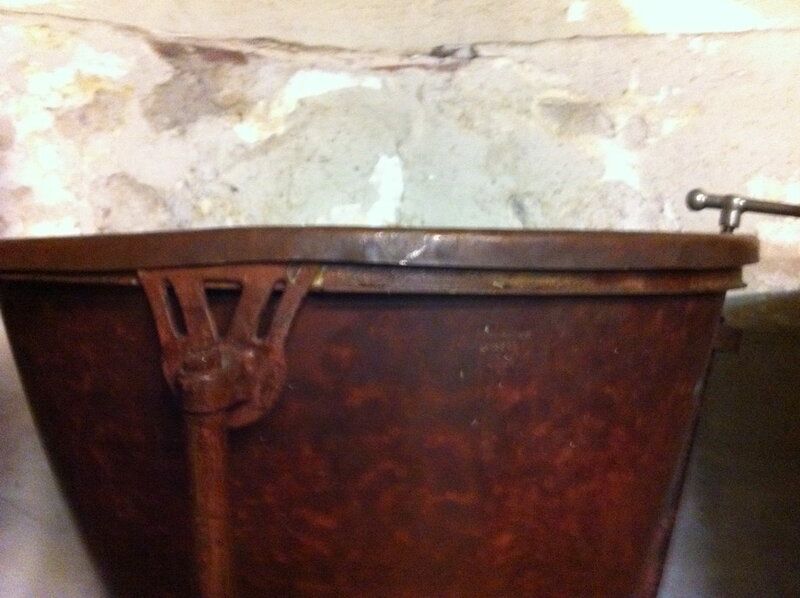 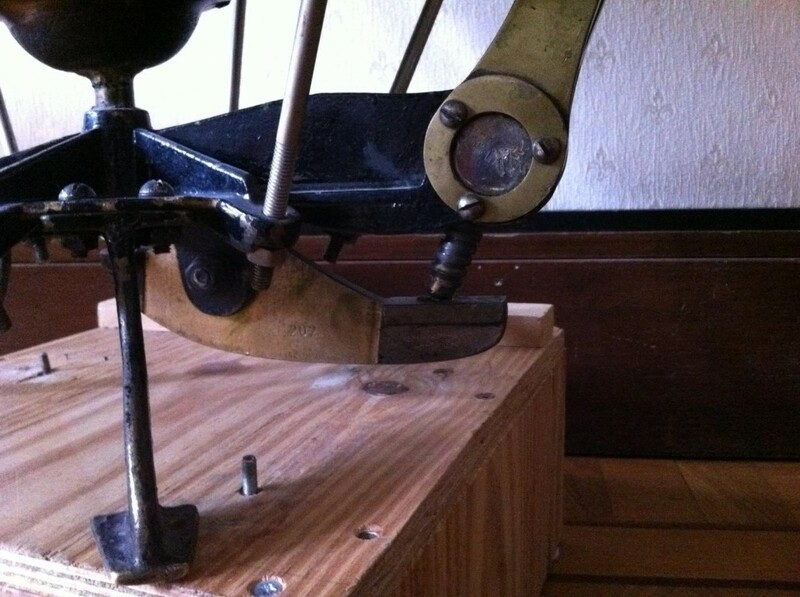 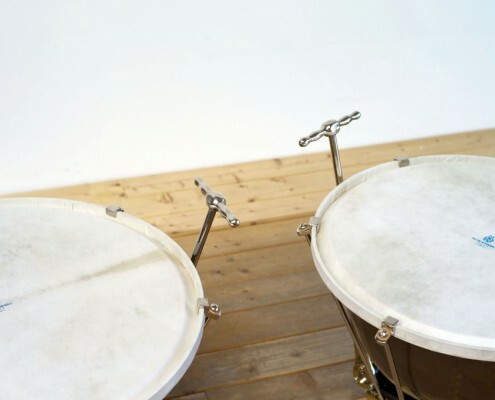 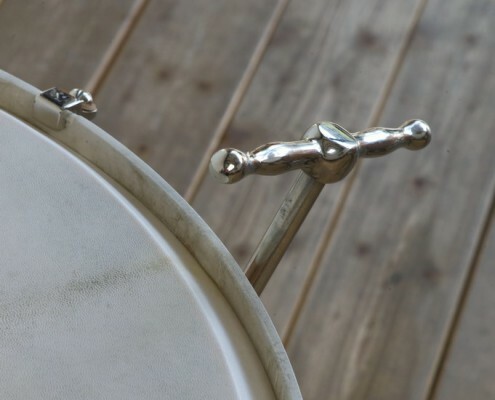 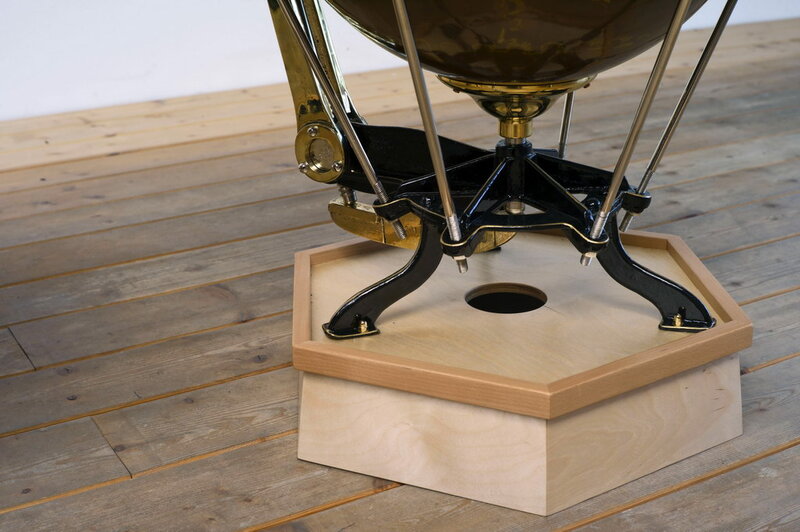 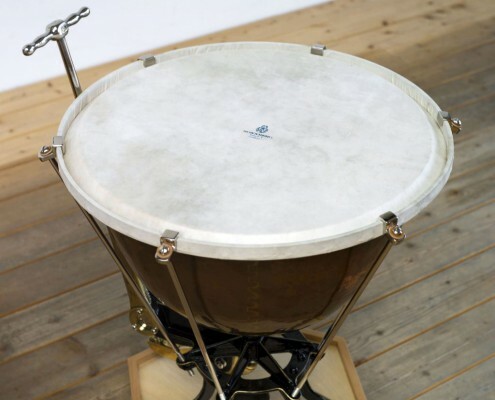 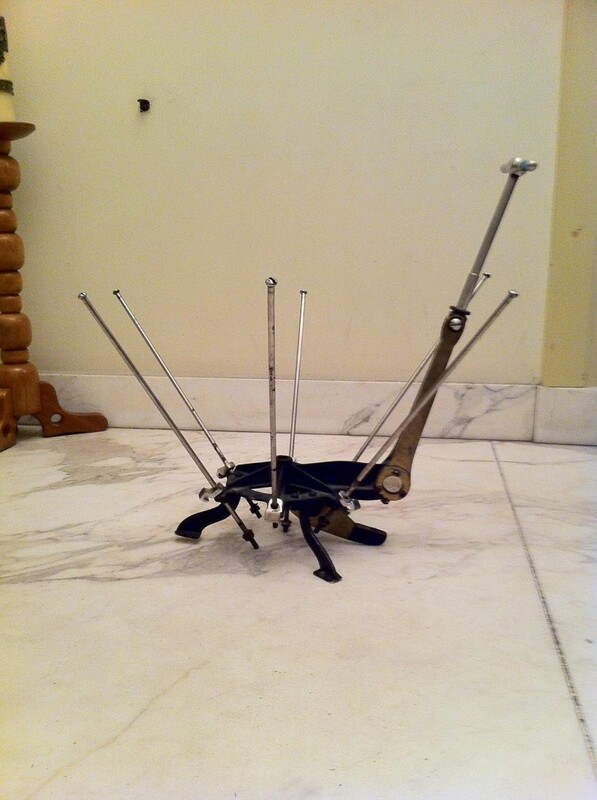 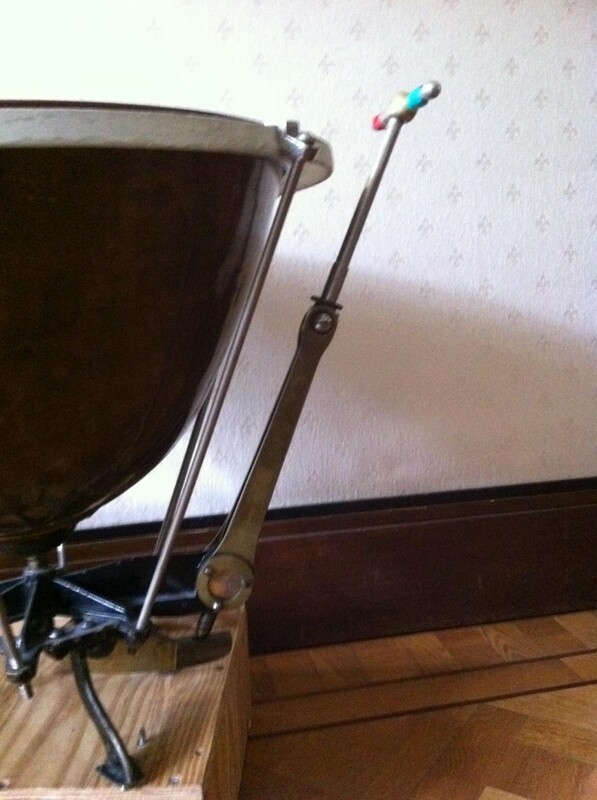 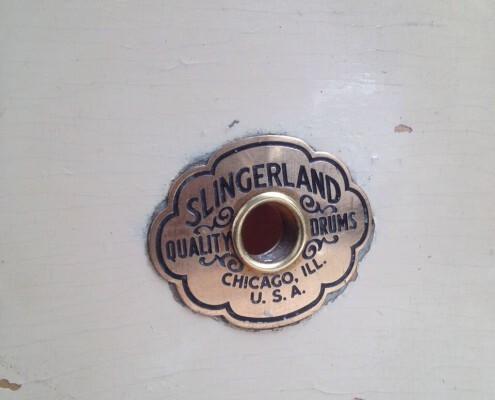 Additionally, we carry out thorough restorations of historic percussion instruments. 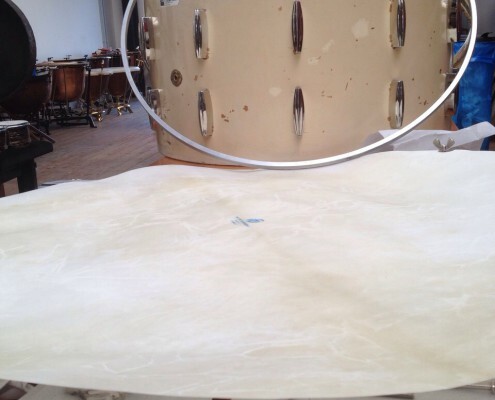 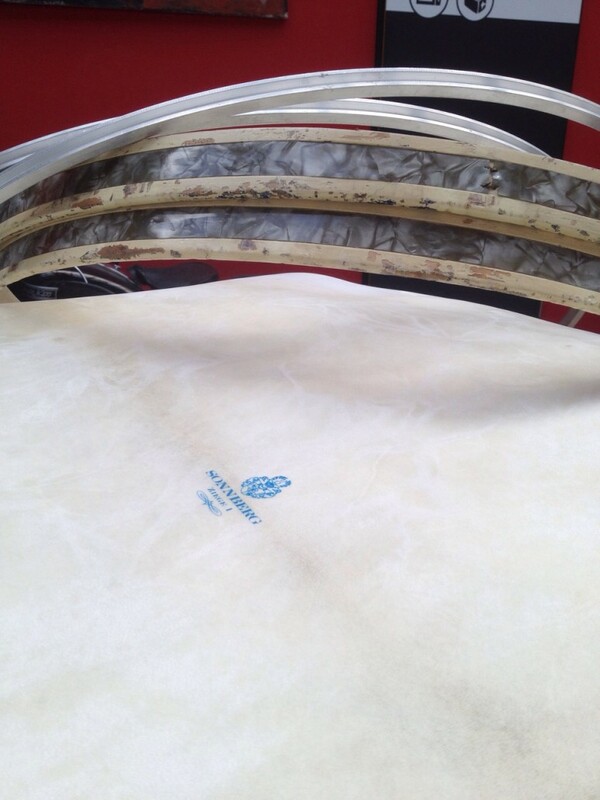 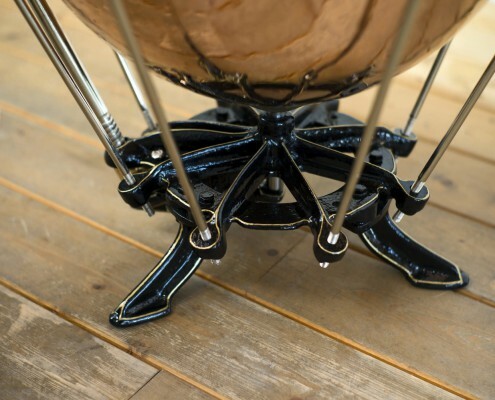 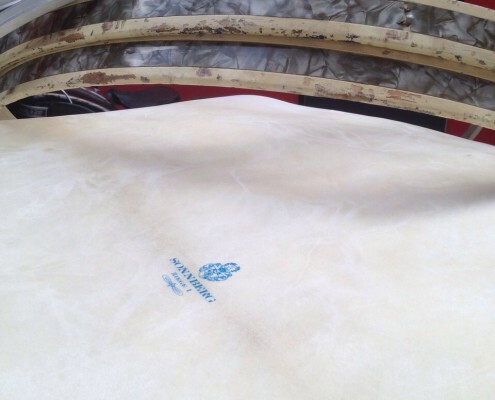 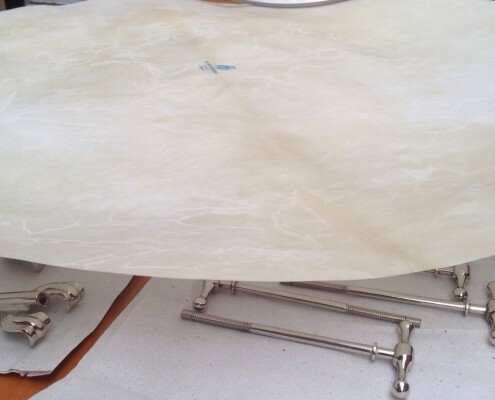 The restoration of older timpani and drums is the second main focus of our enterprise, alongside our passion for natural drum skins. 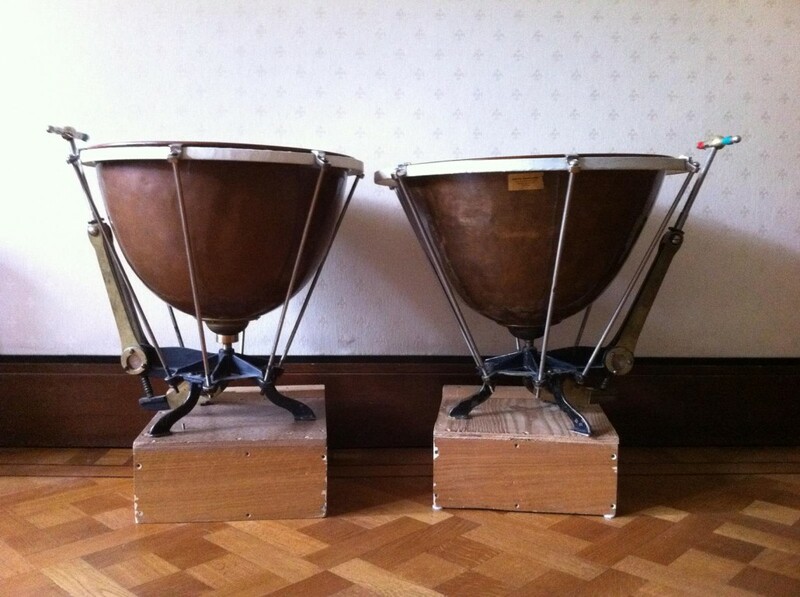 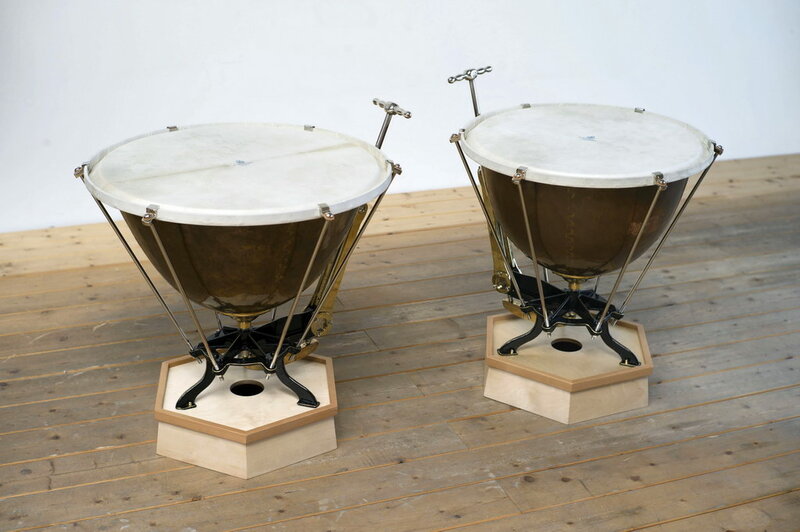 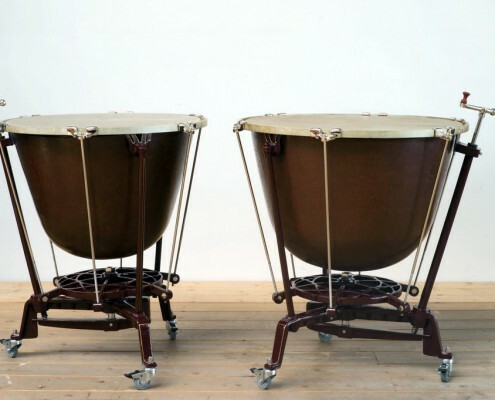 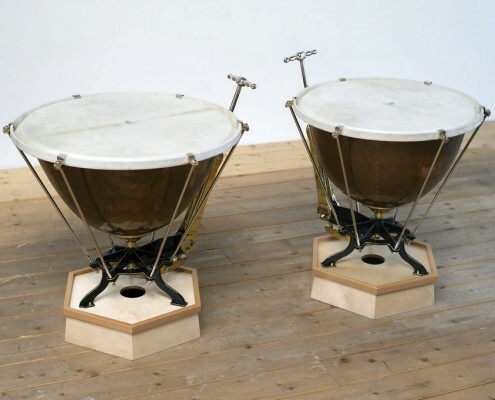 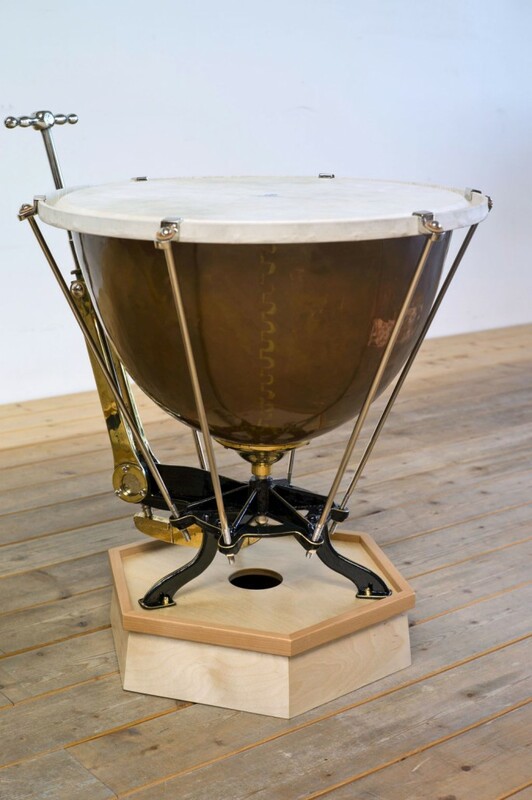 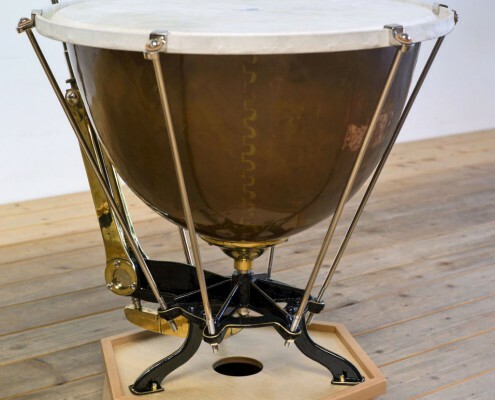 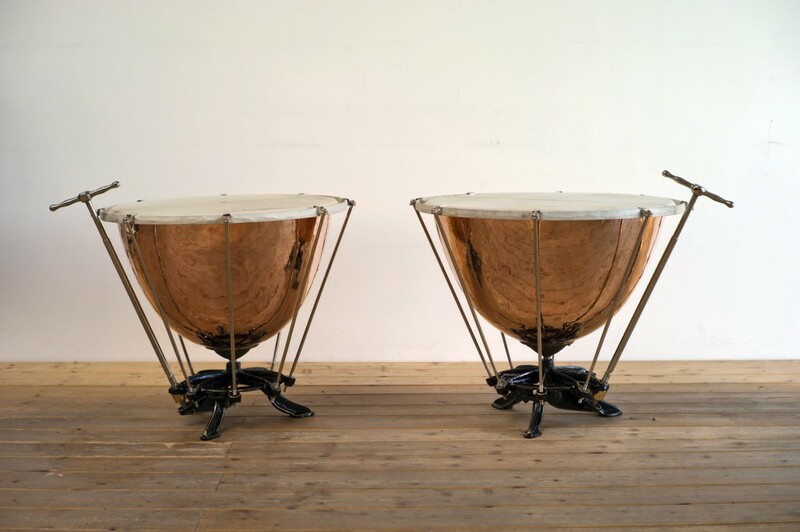 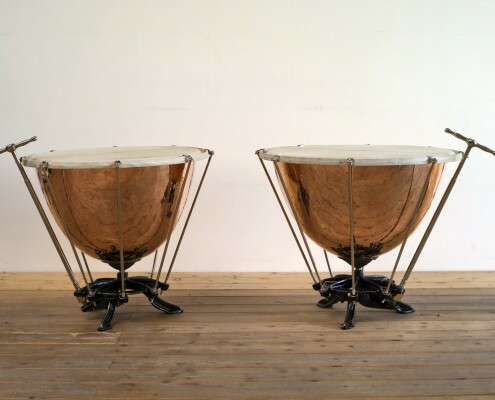 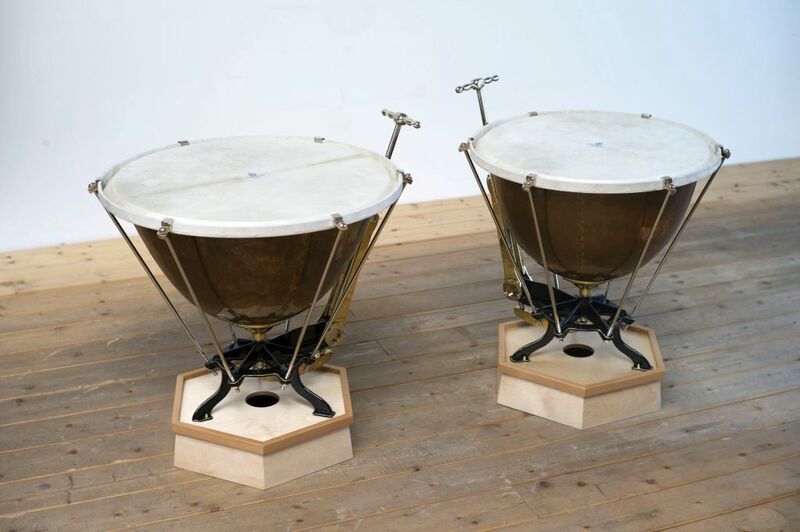 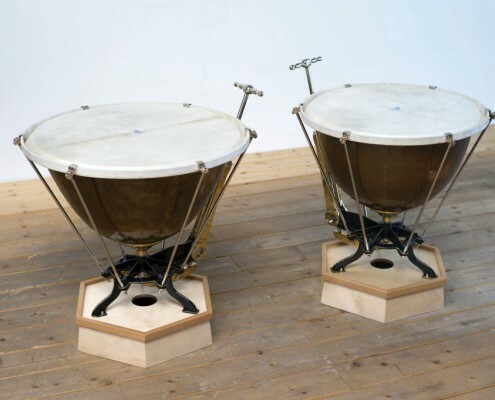 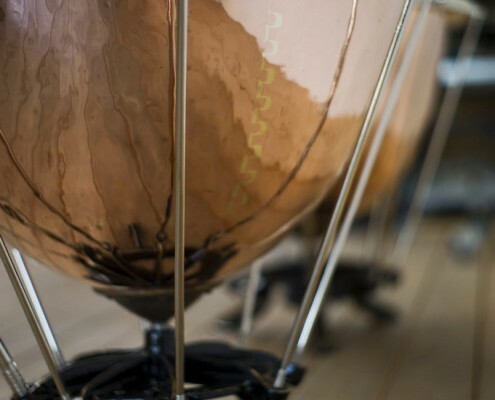 Even during his time as a music student, Marcus Linke was fascinated by the rich and unusual tonal qualities of percussion instruments from bygone eras. 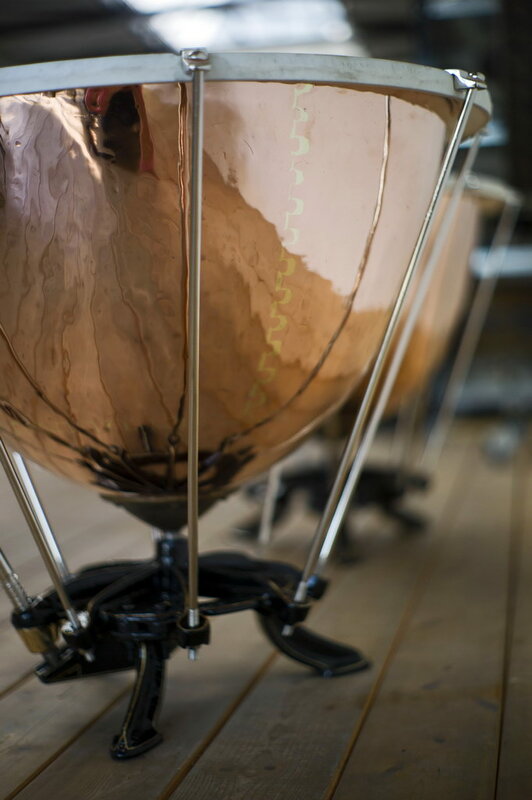 Today, even after more than two decades of carefully studying the secrets of the instrument makers of the past, it is still always an incredible experience to be able to awaken instruments to new life after years in the shadows. 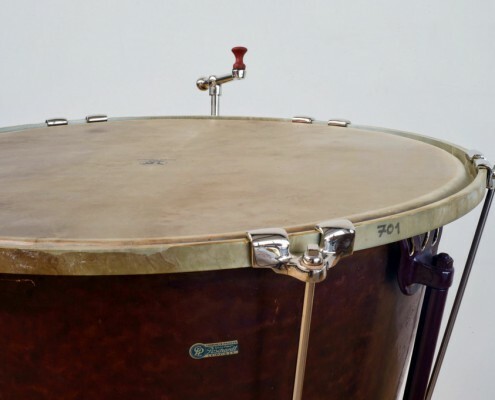 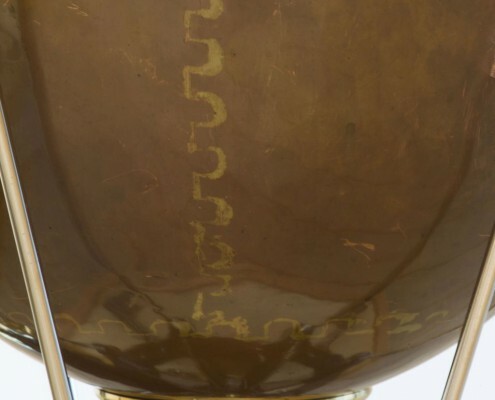 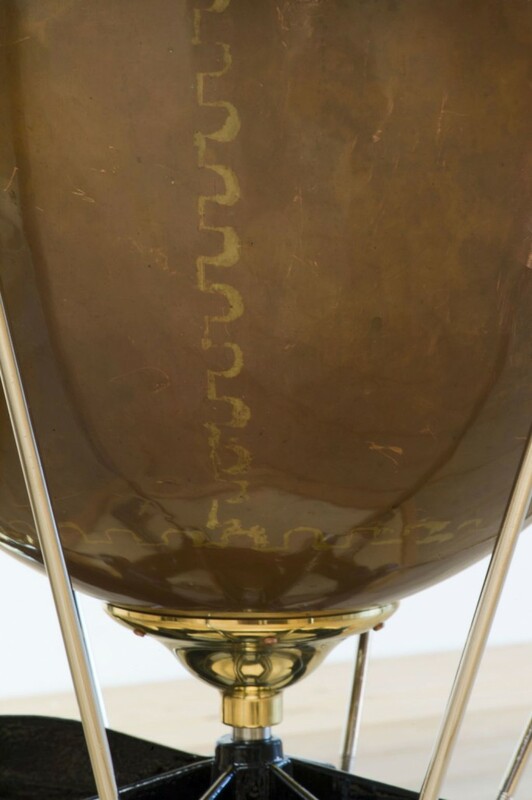 Although the main focus of our work lies in the tonal and technical restoration of the instruments, their optical qualities are nevertheless of great importance to us. 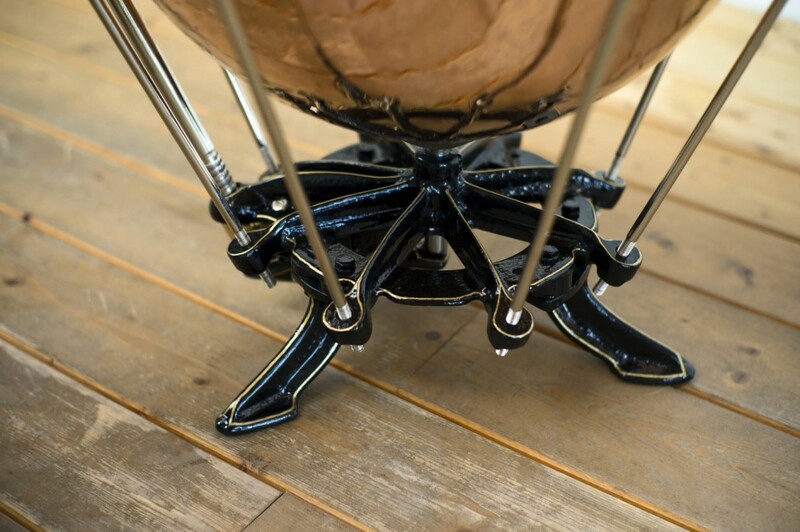 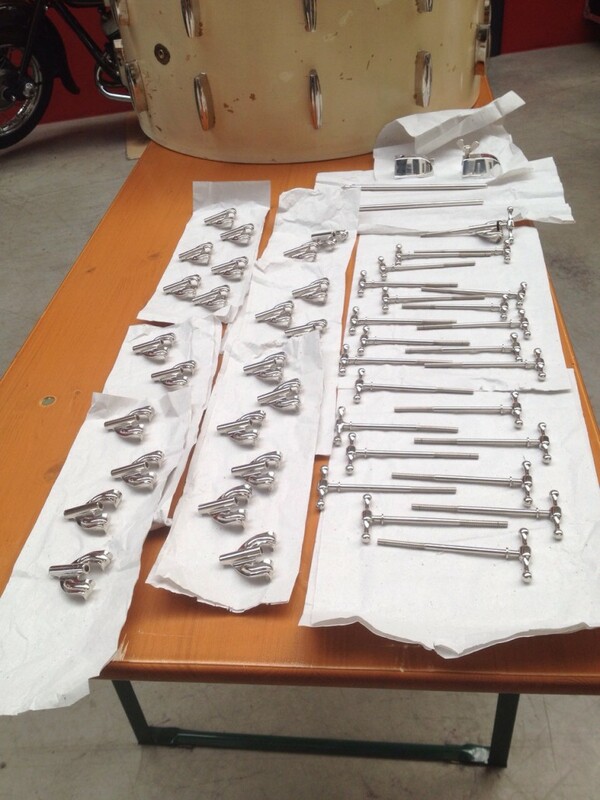 Where possible, we endeavour to preserve the original varnish, create identical replacement parts and use traditional artisan’s techniques. 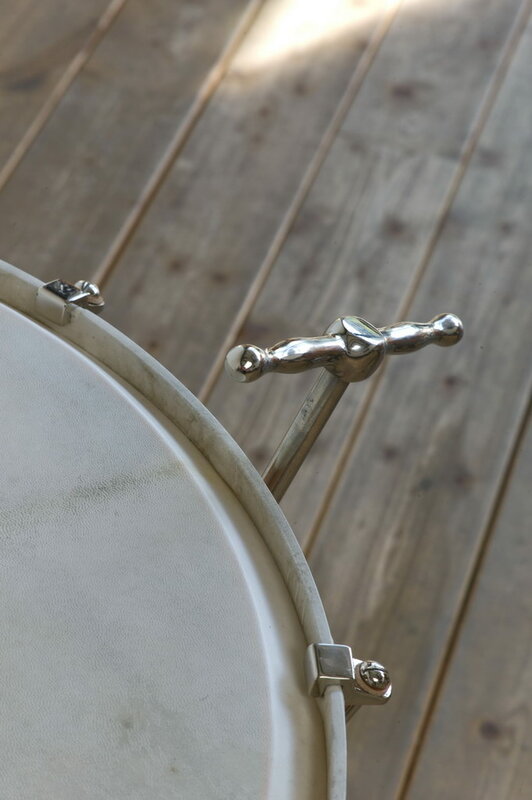 This way, we are able to breathe new life into older instruments without entirely obscuring their fascinating original patina.